Our NHS Care is delivered by our Associate, Ruth Newcombe, who joined our Team in November 2017 and our current Dental Vocational Trainees (DVT’s), who qualified from University in 2017. Ruth qualified from Sheffield University in 2005 and joined our team as an Associate, treating our NHS patients, in November 2017. NHS Care is a good service that will provide all treatment that is necessary, in your dentist’s opinion, to protect and maintain good oral health. 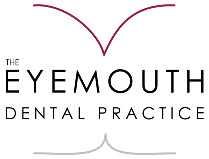 The range of NHS treatments available, and fees payable, are set by the Government and so, at The Eyemouth Dental Practice, we adhere to these rules and regulations. Some treatments are, therefore, not available on the NHS, for example tooth coloured fillings on the biting surfaces of back teeth, and other cosmetic treatments. What to do if... If you feel you have a dental emergency, you can contact a dentist by calling 018907 50519 (including evenings and weekends). However, you will not always need to be seen immediately by a dentist. Please click here first to search for your symptoms, for further advice. During working hours we will endeavour to see you within 24 hours. However, times for emergency appointments are limited throughout the day, so please call the practice as early in the day as possible. Our team are trained to help determine the urgency of your emergency, to enable us to get you an appointment time that suits. Please note that emergency care during weekends will be provided at Borders General Hospital, Melrose. For emergencies if you are not a registered patient at The Eyemouth Dental Practice and for information on other NHS Dental Services in the area, click here or call BEDS on 111. Interpretation Services are available from NHS Borders on request. We pride ourselves on the friendly and professional dental service that we offer our patients. However, should you be unhappy with any aspect of your care, you can click here for full details of our Complaints Procedure.